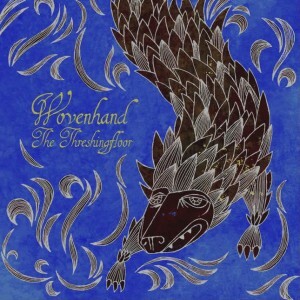 David Eugene Edwards returns with Wovenhand’s fifth studio album, The Threshingfloor. The band’s music, as always, draws on traditional Americana sounds, mixed liberally with influences from Native American, Middle Eastern, and Celtic tradition. He also continues to draw on his deeply-held religious beliefs, putting him in a category all his own: respected indie-type musician writing overtly Christian music without being pigeonholed into any sort of religious genre. For the most part, Wovenhand’s music can be enjoyed by anyone, regardless of belief. Just close your eyes and let yourself be drawn in by the urgency of Edwards’ voice, instead. Stand-out tracks include “Sinking Hands”, “Truth”, “Wheat Straw”, and the title track, “The Threshingfloor”. The Threshingfloor is out now. Catch Wovenhand on tour when they stop by Lincoln Hall on September 28th.